My intention was to prove that with a basic idea for a story, it would be straightforward to start with a simple poem and develop things from there. 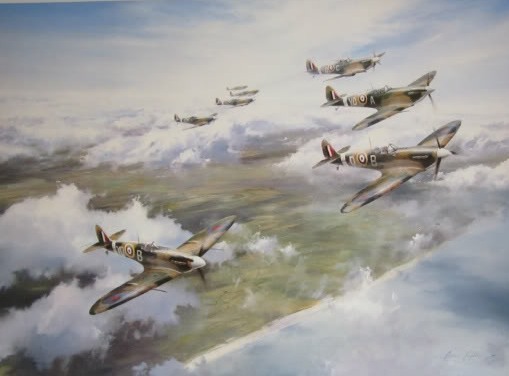 I started with a notion of a brave young fighter pilot in World War II, at about the time of the Battle of Britain. Stage 1. I wrote three x four line verses. Stage 2. I padded the first three verses out with three more, and that was the poetry completed. Stage 3. I considered the ingredients of a short story, combined with my idea for a plot. Stage 4. I wrote the story in one straight session, and found that it altered slightly from the original idea. I went with the flow, as I knew I should. Stage 5. Only on completion of the story, and with it fresh in my mind, I rapidly listed about 20 possible titles. I relaxed with a coffee and reduced my list to three top contenders. The title had to be relevant, and at the same time capture the imagination. It had to convince prospective readers that there was a good story to follow. Thank you for indulging me and making this journey with me.